Map showing the wineries in the Livermore Valley of California. The Tri Valley cities roads and routes. 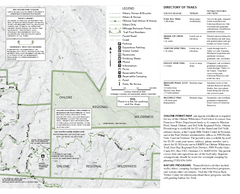 Trail map of eastern portion of Sunol Regional Wilderness in Sunol, California.